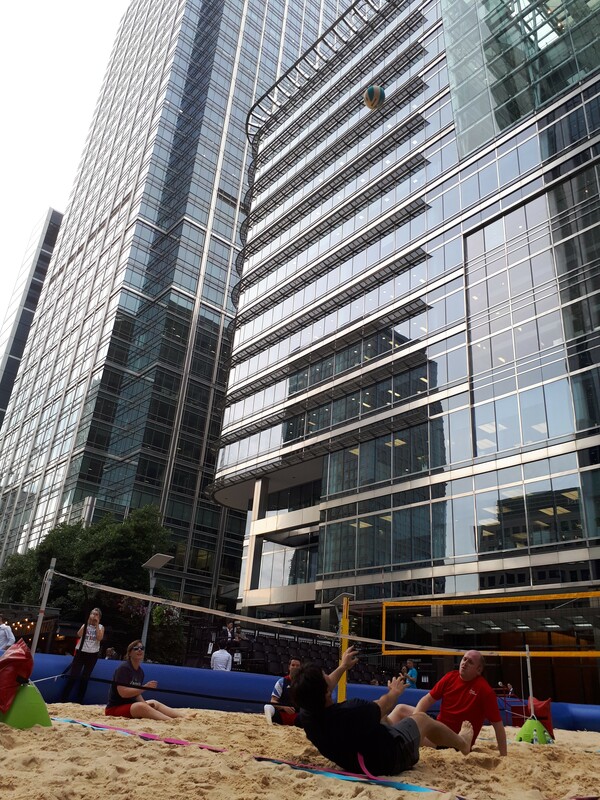 It’s four years since I last delivered an event with Action For Kids so it was a pleasure to be invited along to their beach volleyball event at Canary Wharf. 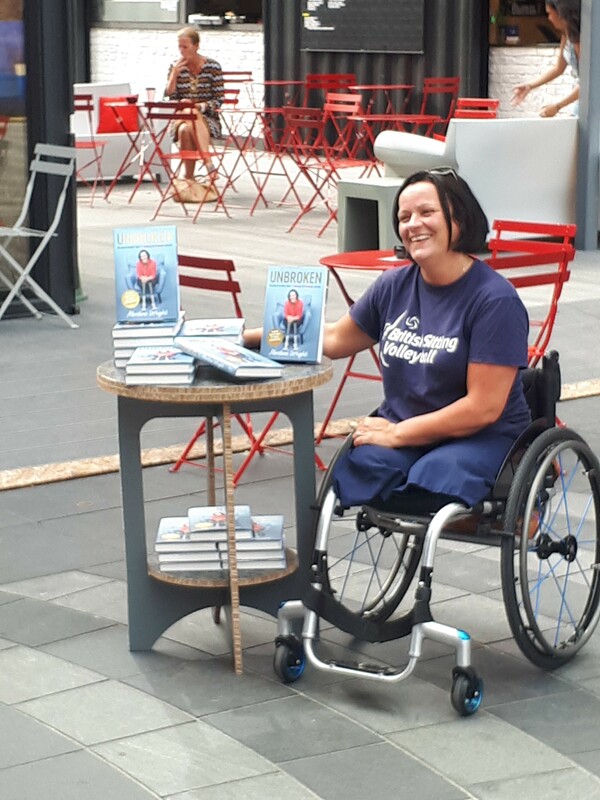 Action For Kids are a charity who work with young people with learning disabilities from the age of 14 to help with their transition to adulthood and to help them prepare for work. 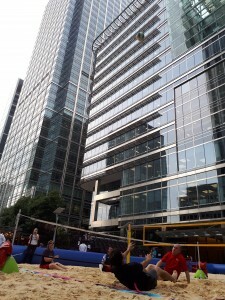 Each year they run a beach volleyball event which includes school and community sessions as well as a corporate competition which raises money for them to develop their work. 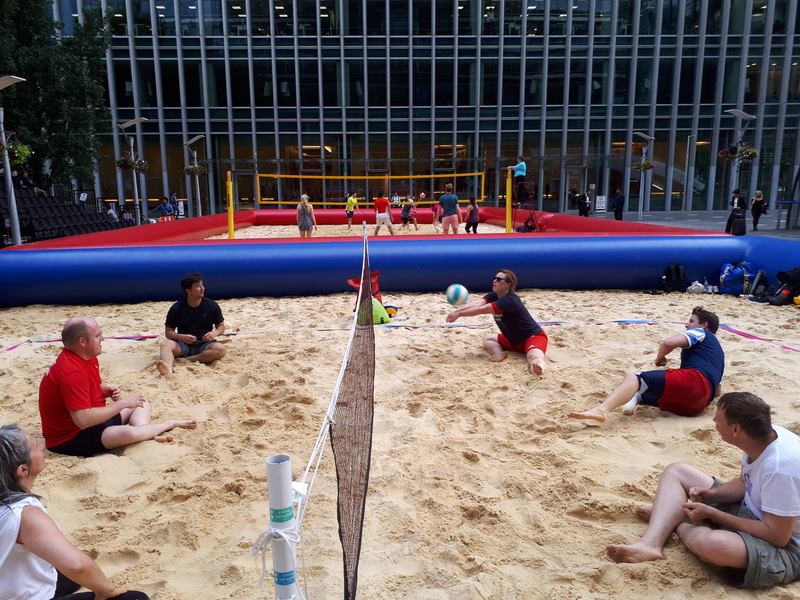 In glorious sunshine we hosted a beach sitting volleyball demonstration game which involved players from the GB Sitting Volleyball teams and the national champions, East London Lynx, as well as volunteers and staff from the charity. None of the players had ever played on sand before so it took a bit of time adjust to the different conditions and get used to moving around. Overall though the session was a lot of fun and was a great way to spend a summer evening! One of the players who came along was GB Women’s captain, Martine Wright, who as well as playing, also posed for photos and signed copied of her new book ‘Unbroken’. With so much going on, the session flew by before before people headed home to try and get sand out of their ears!